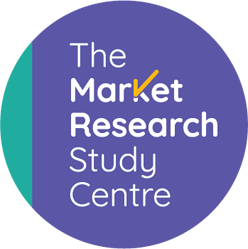 Why study for a market research qualification? "Having the MRS Diploma has opened up so many more career opportunities, and without it I am sure I would not be in the senior management position I am in today. Having the Diploma demonstrates commitment and interest in the field of research, as well as ability and knowledge. I use the knowledge gained during the qualification almost every day in my role as Head of Research for an investment platform, and my colleagues respect my opinions and direction partly due to experience but mostly due to the formal qualifications which prove my ability. The modules of the Diploma build upon your learning as you work through them which I found made the experience of studying much more manageable. With any qualification, it can feel as if you are learning lots of theory but with the Diploma, the course turns much of this into practical examples and case studies, and I particularly enjoyed holding my own focus group as part of a piece of course work. I would recommend anyone working in the research industry to consider the Diploma as whilst it is not easy, it is a rewarding experience and you will learn a huge amount from it which is applicable throughout your future career". "The MRS Diploma has really helped me to advance my career and has definitely made me a more competent and credible researcher. Doing the Diploma gave me a broad and deep understanding of the entire market research process which I fall back on to this day. By the end of the course I certainly had more confidence about my knowledge of the whole research process. Once I had achieved the qualification and was job hunting, it helped me to stand out against others who were applying for the same position. It is also something which I promote in my CV and which goes into all the proposals submitted to clients and potential clients". "The MRS Diploma has helped me tremendously as I have been able to apply what I learnt during the course in my day to day role, working on the client slide. My job involves managing research projects and this course has helped me to ask those very challenging questions at the start of the project which enable me to really understand the business problems and define the research objectives. It has also helped in how I evaluate proposals I received from external agencies". "The MRS Diploma in Market and Social Research is a really worthwhile qualification to take if you want an in-depth understanding of the skills needed in the market research industry. Studying this Diploma gave us a qualification from the recognised and highly respected Market Research Society which would set us apart from the rest in the workplace. On the whole, it was enjoyable and we are able to bring the skills and knowledge we have learnt back into our day-to-day market research job and sets us up to progress further in our career". "I studied for the MRS Diploma over a period of two years, and enjoyed the experience very much. It gave me a good insight into many different research techniques, some of which were new to me and which I’ve been able to start using in my job as a result. Achieving the Diploma has given me greater confidence and credibility. I would certainly recommend the Diploma to others working in a research role".